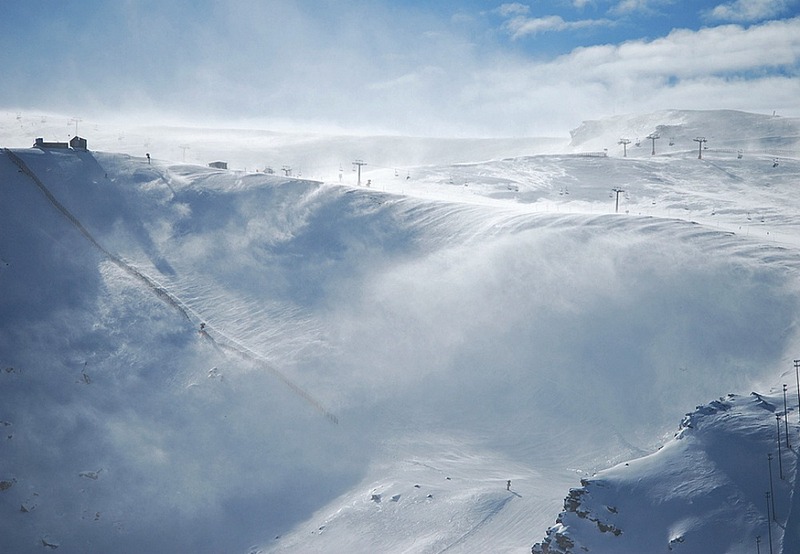 Sierra Nevada Ski is Europe’s most southerly ski resort and offers some of the best spring snow conditions in Europe. The proximity of the resort to the Mediterranean coast means that sunshine is virtually guaranteed and the ski season is long. Depending on the snow fall, the season tends to run from the end of November to the first week of May. The Sierra Nevada, which extends across both Granda and Almería provinces, is the second highest mountain range in Europe after the Alps. It’s highest peak, Mulhacen, rises to 3482m. On a clear day Morocco’s Riff mountains are clearly visible from the Sierra Nevada. As it is one of Europe’s highest resorts it is very snowsure and the season is usually long. Typically it begins around the end of November and runs to the end of April sometimes even into the first week of May. The location of the resort makes is a very attractive destination. In 90 minutes you can be enjoying some tapas on the beach at Salobreña and in even less time you could be strolling around the Alhambra. Here is a great personal account of the Piste 2 Playa mission from Granada resident and blogger. What does the Sierra Nevada have to offer? The Sierra Nevada resort offers a great location and ski conditions and, although it may not be the most picturesque by alpine standards, it has got everything you need. Access and parking for coach or car is easy. In the main square you will find all the the hire shops, accommodation, restaurants, bars, lift pass office and the two main gondola lifts serving the skiing areas. Piste and off piste This is a friendly, well equipped resort offering something for everyone including cross-country and downhill skiing, as well as snowboarding, sled-riding, and snowshoe-hiking. You can expect some varied skiing for all abilities over nearly 100 km of piste in two large open sunny bowls. This is a great resort for beginners or intermediate skiers but there are also some challenging red and black runs as well as a number of off piste tracks for the more experienced. The new Sulayr Freestyle Snowpark, now relocated from the Borreguiles area to the Loma de Dilar area, is for more experienced snowboarders and freestylers. Attracting some of the big names of the international snowboarding scene, the Sulayr Snowpark offers a great variety of freestyle obstacles including the largest half-pipe in Spain, ramps, jumps and more. Freestylers can also enjoy music, free Wifi and the bar. * Skiing is divided into six key areas: Veleta, Laguna de las Yeguas, Borreguiles, Loma Dílar, Parador y Río. 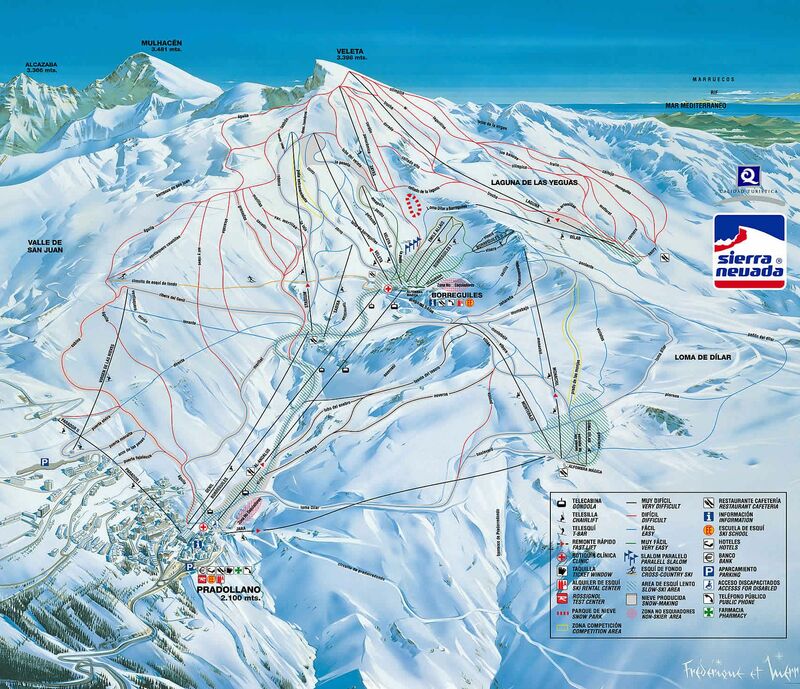 * There are 30 lifts including: 2 gondolas, 15 chairlifts, 5 surface lifts and 8 magic carpets. There are plenty of ski schools to choose from offering private and group lessons in skiing, snowboarding, slalom or telemark skiing. And you will find instructors who speak English, Spanish, Portuguese, French and German. The British Ski Center, established in 2002 by two Brits with over 20 years experience teaching in the Sierra Nevada, offers all native English instructors. There are various groups and family options on offer and discounts available for booking in advance online. You can also book your accommodation through them as well as organise lift passes, equipment rental and airport or city transfers. Other well particularly well recognised schools include The International Ski School, The Official Ski School, and The Spanish Ski School. The nursery and intermediate slopes are great for beginners and kids under five ski free. They can join the ski school or take part in a number of other activities. There is a creche guardería, in Pradollano itself, for ages 4 months to 8 years. Also at the resort level is the Mirlo Blanco park, a dedicated snow activity area with ice rink, toboggans, ski-bike, chair-bike, mini-ski, mini-snowboard and the latest addition of a roller-sled, which is a combined bobsled rollercoaster ride. And in 2013 the giant ski-through Whale was added in the new family-friendly ski area. Up at Borreguiles, the main skiing hub, is Alpine Garden Jardín Alpino offering ski classes and other fun activities for kids between 3 and 6 years. Beauty and diversity in the Sierra Nevada This stunning area was declared a biosphere reserve by UNESCO in 1986 and parts of the range are included in the Sierra Nevada National Park. 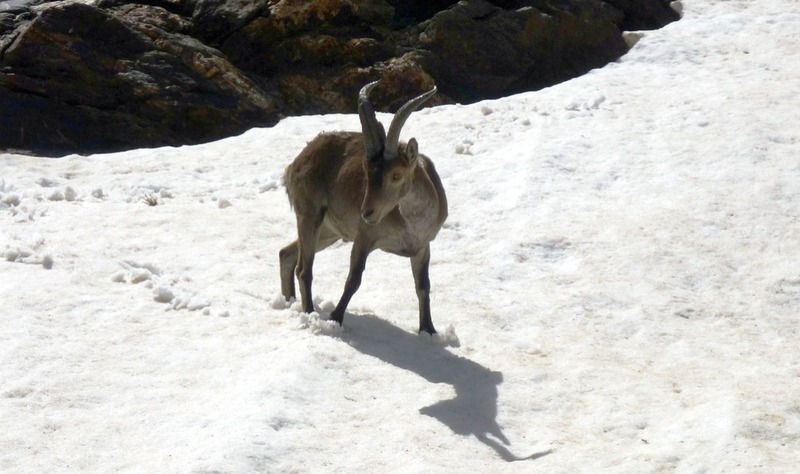 You can take trips and tours into the mountains where you might be lucky enough to spot a golden eagle, or Spanish Ibex. There is a wide variety of choice up at the resort when it comes to eating out and entertainment. The cinema shows recent releases in Spanish with English Subtitles. And the Montebajo sports club offers swimming, sauna, massage and a fully equipped gym (booking is advisable). Due to its close proximity to Granada and other cities in Andalucía, the resort can get very busy at the weekends. If you can visit mid-week you won’t find any queues for the lift. It is a great resort for a short ski break. The Sierra Nevada Ski and Mountain resort stays open in the summer and offers a range of sporting and outdoor activities for all ages. Out of season the cable car and chair lift are operating and the recreational area Fuente del Mirlo Blanco offers some great activities for kids including the roller-sled, bike slalom, slides, children’s park, trampolines, zip-lining, and even ice-skating! With an average temperature of 20ºC this is a great place to go to escape the summer heat. For the very latest news and updates on conditions you can follow Sierra Nevada on Facebook and Twitter. Check out these great videos from sierranevada.es including the official video for the 2015/16 season.